Helge, owner of pixeltrain | 3d | vfx | animation, delivers in-house training, workshops and online training for the 3D & VFX industry. 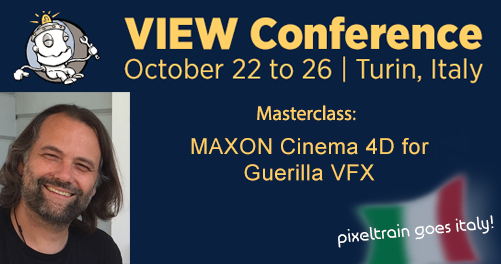 He is a MAXON Certified Lead Instructor and has been working as an industry-recognized 3D & VFX expert since 2000. Helge has worked as a trainer and consultant with a wide range of broadcast companies, advertising agencies and industry clients in Europe and abroad. He has worked with clients such as Jura, Vitra, Swarovski, Mackevision, Jung-von-Matt, Pirates ´n Paradise, redseven Entertainment, ProSiebenSat.1, SKY Deutschland, ARD, NDR, rbb, Sony DADC, Intel and many more international companies.